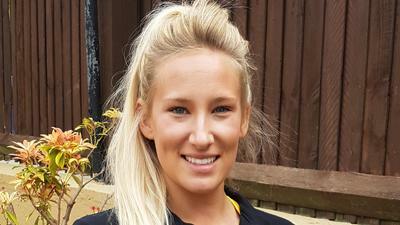 Hello, my name is Gemma :) Before I became a practitioner in Hydrotherm massage using mind-body connection, I was a client qualifying to be a Personal trainer. I experienced astonishing results from my treatments around physical pain that I had been suffering from for years, mental wellbeing and other health issues. I was so fascinated from then, that I decided this was a way for me to empower and contribute to people and in turn, the world. The Tera-Mai Reiki healing system offers a very powerful healing experience which helps to release issues on the cellular level, emotional level and subconscious level. This unique healing style releases the negative behavioural patterns, as well as the negative blueprints of any misaligned beliefs keeping individuals stuck. Although treatments are similar to the Usui Reiki healing system, the work is more complex working much deeper and the healing is extremely rapid. Because of this some additional relaxation time within the treatment is allowed which complements this life transforming style of healing. During this deeply relaxing massage, I offer a guided visualisation leading the client through a journey to wherever it is they choose; whether that is; relaxation, empowerment, enhanced performance in a particular area of their life, recovery, pre&post events, transitional phases.